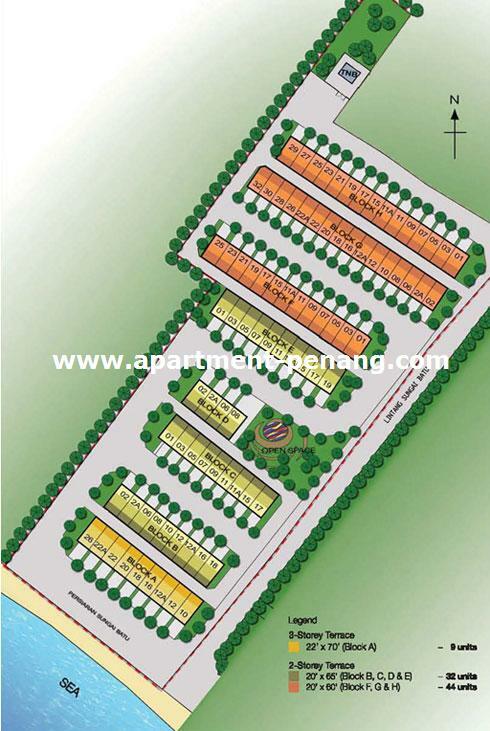 Sunway Aspera is a freehold residential property project located at Sungai Batu, Penang. 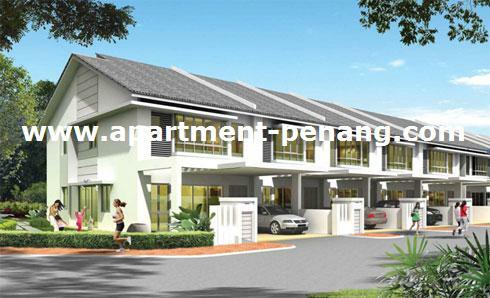 Developed by Sunway Grand Sdn Bhd (a subsidiary of Sunway City Berhad), the project comprises 2-storey and 3-storey terrace house with a total of 85 units. The 2-storey terrace house come with land area measuring 20' x 60' (standard) & 20' x 65' (corner unit) and has a built-up area of 1,840 sq.ft. & 2,040 sq.ft. respectively. There are 4 bedrooms and 3 bathrooms in each unit. Built-up Area : 1,840 & 2,040 sq.ft. When is the completion/launching date? Is it worth? 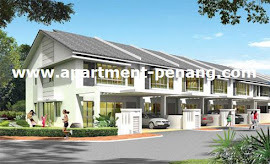 Teluk Kumbar area can sell >RM500k ? Also have 3-story, but no idea the price tag. Hmmm... I don't think it's worth to get this. I've recently seen in the paper for a subsale ads for a 3-storey with 2000 sqft in Sg Batu only asking for 520k. 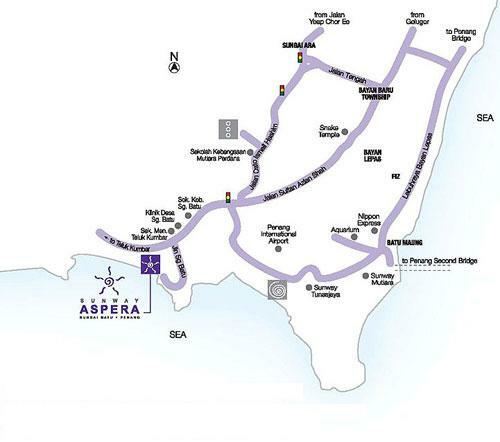 I would rather take a completed unit than Aspera which has not started the development. I been to the site, the area is surrounded by old flats, neighbourhood is quite a mess, and right beside a huge mosque. Personally i do not mind the prayer, but i am more concerning the first 2 points. Unless there is inside-story that the whole areas would be revamped, i will not go for this..
A safe & peaceful place that we can call sanctuary? No. Coz it's too near to the flat and mosque. A good investment? Doubt on that. Coz it's surrounded by kampung villages. Price increase will be very slow, unless you buy the first row three storey terrace, which is "home by the sea" which enjoy the full sea view. Well it is the cheapest new DST yes/no? Penang property is already becoming "MAD", as long as the term is "landed", then the price will be above RM525k for 2 Storey, and above RM700k for 3 storey. Go to Balik Pulau, the price is still reasonable. New landed property in Balik Pulau also selling >RM 400K, if new landed property located somewhere nearer with the price of RM 495 K, is worth buying. Nothing is perfect in this world, so people who are eyeing on landed property may consider as previously people also commented Batu Maung is far and ulu but now you see landed property at the area selling >RM 600K. It is not far at all, I Think is the Penang road system/services is bad, and make the journey suffer and take long time. 485K still can consider a good buy for double story landed terrace house at that region despite kampung, low cost flat and mosque. I'm interested to buy a unit and went to the sales office today. Anybody has recommendation which block/unit is better? Penang very small if compare to Singapore and KL but the problem is control by these third mentally people thats why make everyone journey far and not smooth. Where to find in other country if heavy rain not more than 3hrs all road flood. Even drain also don't know how to build, how going to build country. I just bought a unit at Block G because Blok C,D,E all sold or non bumi units.You can consider 11A ( last unit available )at Block F which originally I interested at coz it a bit away from the mosque.But,I change my mind when "Fengshui" stuff came in. I bought Blok G because I think is good that our house back facing mountain and front facing sea :)If you really interested at this area better buy fast before the property fair coz I heard that the early bird discount will not available soon. Thanks for the info.I think of getting a unit before this weekend too. I think is worth to buy it. By the way,is the price still remain the same? Did the developer absorb the legal fees? I heard that the purchaser need to pay 10% in order to secure an unit. The developer will absorb the legal fees but not the loan. Yes, you need to pay 10% for booking fees. I think there is also pasar malam at this Lintang Sungai Batu road betwwen this project & low cost flat; ppl from Teluk Kumbar can confirm this? Yes, there is a very noisy and "litter-fest" pasar malam along the first units (01/02/01) to be built. I have yet to hear of any plans to shift this pasar malam, but I doubt if there is any plan at all as this is the most strategic location here in Sg Batu. There is still one "kampong bungalow" right in the middle of Block G and F that has not been relocated or torn down. Will it affect the total completion of this project? I dont know, but I guess potential buyers should check this out with the developer just in case. Buyers of the units on the other side (29, 32,25) should also take note of the single row of 4-storey flat/apartment nearby. As this flat/apartment has limited parking spaces, the issue of encroachment of "park anywhere we can" by unit dwellers might lead to some potential negative issues for buyers of these units if there is no perimeter fencing and project saperation. Also unit 29 be aware about the leaky sewerage plant nearby - you have been fore-warned!!! There are also folks at the flat here who are adept at playing pseudo-basketball - they just aim their rounded bagful of rubbish down from their kitchen openings onto the open spaces nearby where the Aspera units are to be built. Unfortunately, they are no Magic Johnsons and will definitely continue playing the game after the half-time break during the contruction phase. Watch out for splats, then!You may not want your corner lots to become a garbage garden! For units nearest to the sea (Block A? ), watch for the sea waves encroaching and reducing the landside as the years go by. The beach may have receded by more than 10 meters in the last 20 years. By the way, folks, I have just passed my 30th anniversary residing beside the project area ..... !!! Thank you for the kind information. I am thinking of buying the Block A facing the sea. Do you think the sea erosion is stoppable? What was the thing you dont like about the place with your 30 years staying in Sungai Batu. How is the crime rate? Is it safe for a chinese family staying in the area? I just visited Sunway sales office with my colleages. The house really worth to purchase. It's include 4 room aircon wiring, alarm & alarm wiring, auto gate wiring. The teres house next to Aspera like abandon, no ppl want to stay there. Might as well press the seller to sell you cheap cheap. A very simple way of measuring the project livability is how many purchase by developer staff for their investment and more importantly own stay. You may check how many bankers too that buy it. Please do thorough survey during day, night as well as weekend before you really make a final call. If you AND family can accept it then go ahead. Only few unit left.. just went to QB property fair for clarified. personally, felt that really worth to buy. 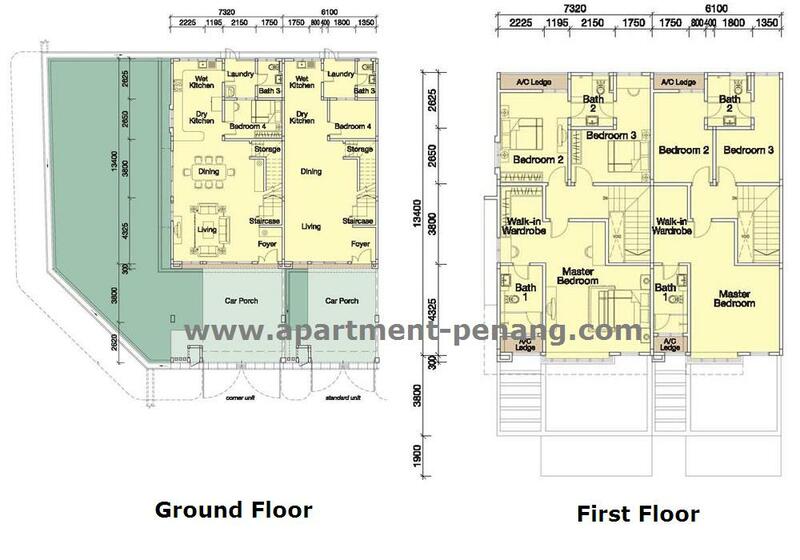 As nowaday, in penang is difficult to find a landed/ freehold/ individual title's double storey unit which <RM500k. anyone heard bout Cascara 88 townhouse? also at Sg Batu? pls comment. thx. Teluk Kumbar in geral and Sugai Batu in particular is highly petential area that one day would turn into a resort or tourist belt. The beaches from Sungai Batu all the way up to Gertak Sanggul are actually equivalent to those in Batu Ferringi. It just too much politic involved here and lack of interference from the state government that resulted what you see now, no proper this and that and un-control hawkers stall and on and on. But for next 2 generation I am sure things will eventually. So if you are investing, you have to look at least 25 years down the road it will not be a quick fix to all the eye sore that you see now. Kentwong: could you please send me more details about your house? my budget is below RM550k. The show house is completed for standard unit but yet officially open for a visit. I went inside to view the actual size, the material and the workmanship. Overall I've my thumb up for this project. The developer is fully utilizing every piece of the land and I would say u do not need much extension work on the house build up. What I love most is it's pretty shady and cool indoor eventhough I was there at 3pm where I felt the burning heat outdoor. It's one of the best I've ever visited in the recent DST in the island. thanks Gary for the info. I would love to visit also. What time is the show house open for public? can i visit this weekend? it is not officially open for visiting yet, but u can get help from the construction worker to allow u entering the unit# 3. if u are persuasive enough, they may even allow u to view the corner unit which is in the progress of renovating. Pasar Malam is there during every thursday, motor here and there, mosque is next to you, surrounded by low cost flat, only the row facing the sea is superb, the rest especially those units just next to the flat I donno what to say. May I know where are you staying now ? With what you are comment is ridiculous !! If you change your mind & would like to purchase now, sorry...... only bumi lot that is available. anyone of u has a good ID or came across with any good track record of ID in renovating your friends' or relatives' house? mind to share some of them here? fyi, the houses would be ready by end of this year and OC will probably be obtained in beginning of 2012 according to the Sunway sales guy. don't get agitated by alex...'s remark. whatever he mentioned is nothing new to the buyers. in fact, buyers are considering many other positive factors and potential incremental value before grabbing a unit. well, i'm not gonna list out here but those who keen following up on the property news particularly on Teluk Kumbar and Bayan Lepas would have ability to value and in confidence with the area development. I'm looking for one if below RM600K. Just dropped by this project site and what impressed me was the seaview (really beautiful) and the serene environment at Sungai Batu. The main setback is the bottleneck at the entrance to Sungai Batu from Bayan Lepas. But I believed in the next 3-5 years, it will be no longer an issue as I see there are many developers are developing the area which is next to the narrow access road such as Wabina (Pavilion Resort), SP Setia and IOI (new condos to be coming up soon). Also, was told that the project will be guarded for the first 2 years borne by the developer which is adding value to the project. Just have some comment on this project and the developer. I was learnt that Sunway is very committed to the quality. Hence, in my first contact with Sunway, I deliberately include even ~1mm tile chipped and some minor scratches on bidet tap were captured in the defect form. When I was called to re-inspect the said defective items, I was amazed as the developer had entirely changed all the defective tiles instead of patching the chip area in my first thought. And of course, I have my new tap as well. Overall I'm pretty content with its quality as not much defect I could observe during the 2-day inspection. Comparing with other similar projects, SA had done a good job on the skim coating. Lastly, my compliments to the maintenance officer as well as the contractor Koay. They've demonstrated a very good attitude and profession in dealing with customer. I'm sure this is a good news to all residents in Sg. Batu and Teluk Kumbar. Hopefully the project of expanding the Batu Maung to Teluk Kumbar road could be expedited. can somebody help to translate the chinese characters? thanks. red.dot, u may get the english version here.